The Cedar Falls Historical Society needs volunteers to gather content and prepare posts for Facebook, Twitter and Instagram. After an initial meeting with the education coordinator, the volunteer will be able to work independently and remotely with check-ins as needed. Join Lincoln Elementary School for its annual Wacky Winterfest carnival. Volunteers are needed from 11 a.m. to 2 p.m. Saturday to help with games, serving food, handing out prizes and interacting with children and their families. Cedar Valley Hospice is looking for a youth services volunteer for its Eucalyptus Tree Program. Volunteers will be trained to provide support to grieving children in their family home, the Hospice Home or in the child’s school. Become a 4-H volunteer with Black Hawk County-ISU Extension and Outreach. A variety of opportunities exist including being a LEGO coach or a dog agility leader/instructor. Share your skills, knowledge, and talents while having fun with 4-H club members in our community. 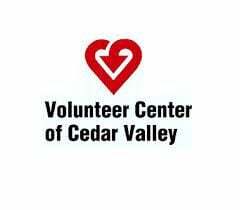 For more information, call the Volunteer Center of Cedar Valley at 272-2087, or go to www.vccv.org.